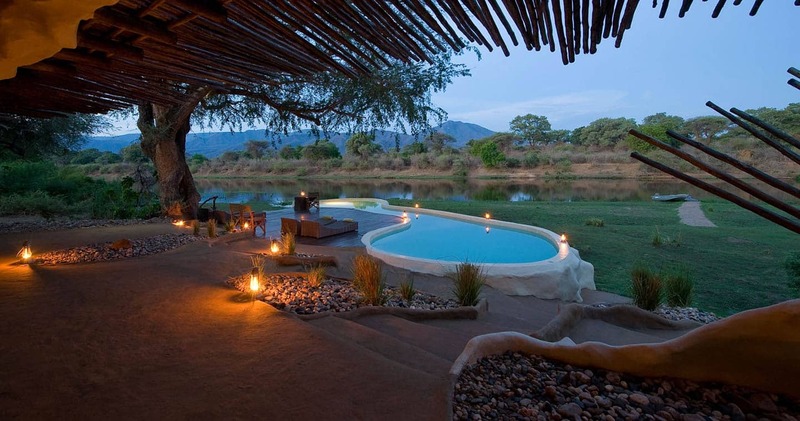 Standing on the banks of the Chongwe River, a quiet tributary of the Zambezi that borders the Lower Zambezi National Park, is a unique and elegantly designed, private home: the Chongwe River House. 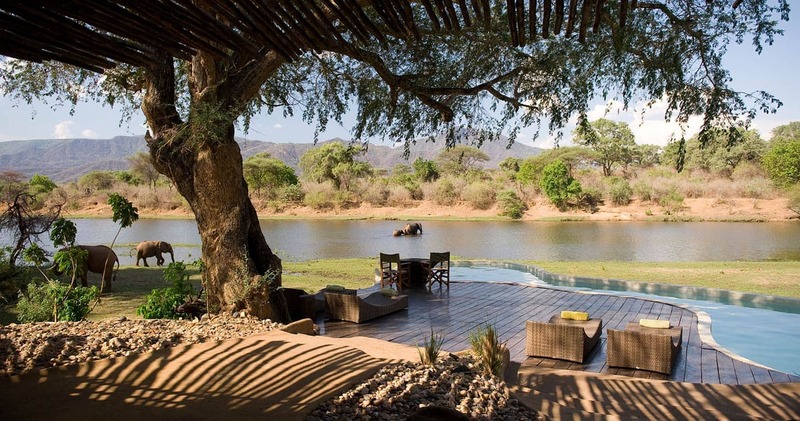 Pushing the boundaries of bush architecture, Chongwe River House offers sensational views of the dramatic mountainous escarpment of the Lower Zambezi National Park, and in the foreground, the magnificent river frontage. 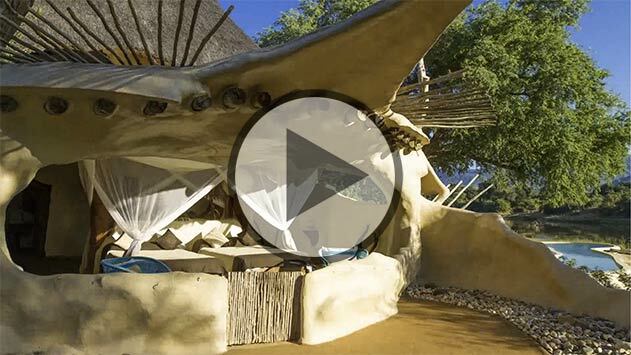 Designed by architect Neil Rocher – a designer focusing on ecological tourism projects – this lodge seems to almost naturally sprout out of the African soil. 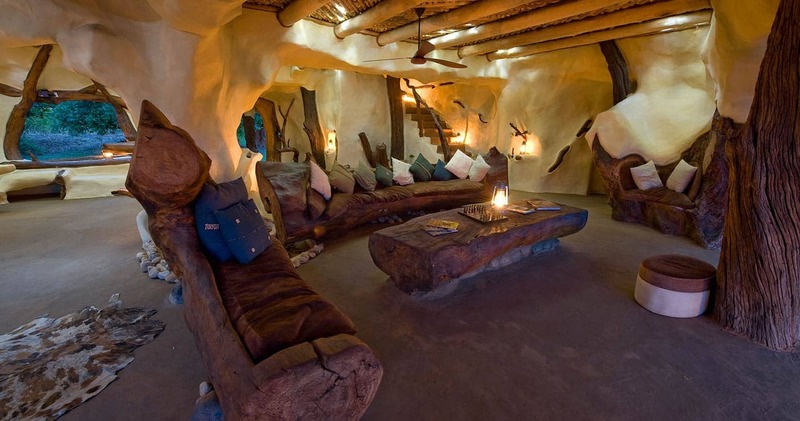 With its synthesis of organic flowing shapes and figures, following the curves of tree trunks and branches, this lodge exudes a true safari sensation, making you feel intimately connected with the natural environment. The house provides a perfect stay for small groups and families, who are looking for unforgettable wildlife sightings (the Chongwe area is famous for its large elephant herds, which you can view from your own deck) and the dedication of personal house managers Scott and Kim, guide Moses, a chef and support staff. Sleeping a maximum of eight guests in four individually decorated spacious en-suite bedrooms, Chongwe River House is the ideal safari destination for travellers seeking a private safari. The thatched house has been built around a frame of wild wood following the natural line of the branches, bringing nature into the house. The bathrooms have waterfall showers and exquisitely carved basins, and from your outside bath, you can gaze out across the bush. King size beds are under waves of netting and offer stunning open-views of the bush or escarpment that emerge the minute you open your eyes. Furniture in the living room has been carved from fallen winterthorn trees and coloured river pebbles decorate the ceilings. The deck and swimming pool, with plenty of comfortable seating and lounging areas, lie under a huge winterthorn tree and seem to merge with the river. With the naturally flowing furnishings and decor, it isn’t hard to imagine you, too, will slip into a calm and relaxing flow of your own. Flexibility and personal service are key features at Chongwe River House. Throughout your stay you served by your personal team including a guide and vehicle. That means your daily schedules are totally flexible. We recommend taking up a delicious breakfast, lunch (ever seen a homemade bread shaped like a crocodile? ), high tea and dinner in your itinerary: your personal kitchen team is highly skilled in combining local delights with Western restaurant standards. You are also welcome to spend the day chilling on the deck where you might spot some wildlife from your lounge chair. Or start the day by telling your guide Moses what you would like to see, and he will – very likely – deliver. Imagine a guide who can hear from meters away if there is a leopard present, or a lion pride. He can seemingly smell any other animal too, and won’t leave any stone unturned to find amazing wildlife sightings. Game drives are just one way to discover this game-rich land, but there are more options. Make use of the river front by canoeing, bird watching or fishing for Tiger Fish along the islands. Or put on your hiking shoes and opt in for a walking safari - nothing like leveling with the animals during a hike. Do not forget to stay an extra day to just sit in the lodge and soak up the surroundings, outside and inside the lodge. 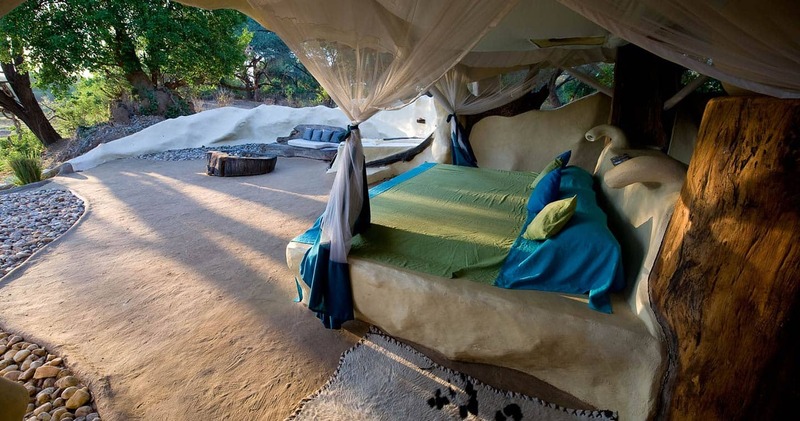 Africa will come to you just by setting foot on this impeccably designed property. This was the climax to our family holiday in Zambia. The house is just incredible and photos can't do it justice; game can be viewed from your bed! The place is very open but only the monkeys come in. Game viewing and fishing were excellent; Moses our guide is very knowledgeable and could not have been more helpful. Food was also exceptional while Kim and Scott ensured that everything ran smoothly. A useful definition of luxury is having the "space an time to enjoy your surroundings with friends". Chongwe River House provides you with just that. The location itself is wonderful. Good game come down to the river each day so there is plenty to keep you occupied even if you choose not to go out on an exciting game drive, exhilerating canoe ride or enjoy some fishing. If you can stay here - do! 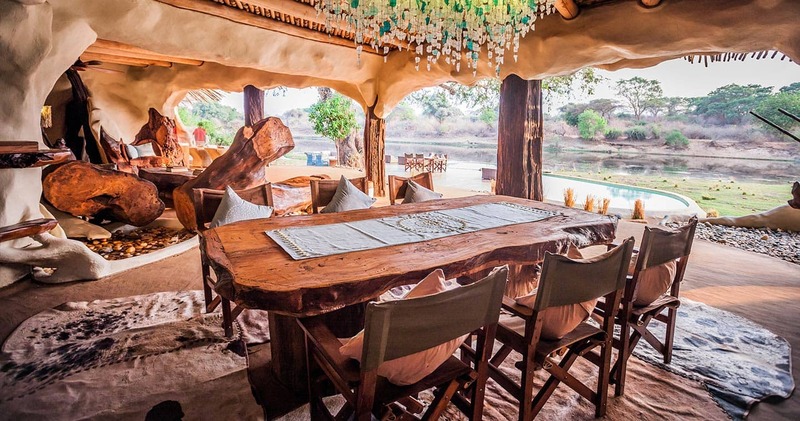 This private house has an amazing design, mimicking an animal's riverbank lair entwined with tree roots, mud and rocks, the kind you would find along the banks of the adjacent Chongwe river. We hadn't seen anything like it. Our hosts for the 4 nights were Anet and Matt, who manage the excellent team of staff. Anet manages the house beautifully ensuring the smallest details are attended to. Matt is an outstanding, passionate guide, ensuring all activities are arranged and equipment is in the right place at the right time. We really enjoyed Matt's drives. We didn't see much trophy game, but that allowed us to learn more about the enormous range of wildlife that exists in the Lower Zambezi. Matt's a keen photographer and was generous sharing tips and techniques. One of the activity options is to visit a local village and cultural centre which our teenage kids really enjoyed and we recommend highly. The food is excellent, especially the lunches with various delicious salads. There were regular special touches which we really appreciated such as a surprise lunch on an island in the middle of the Zambezi. We'll never forget this one. 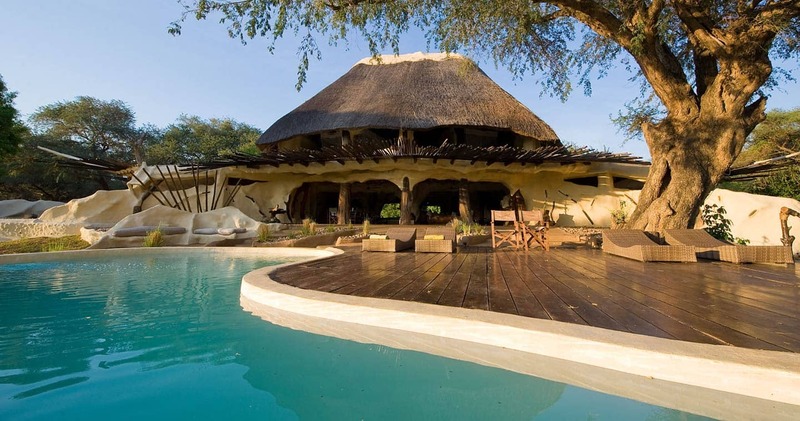 Chongwe River House was awarded ‘Runner up’ in the 2015 Best Safari House competition organized by Safari Awards. Rates are for the house (4 guests sharing). Please note: Indicated price is a house rate and accommodates 4 guests including children. The 5 to 8 guest rate (below) is a per person sharing rate and child rates apply. 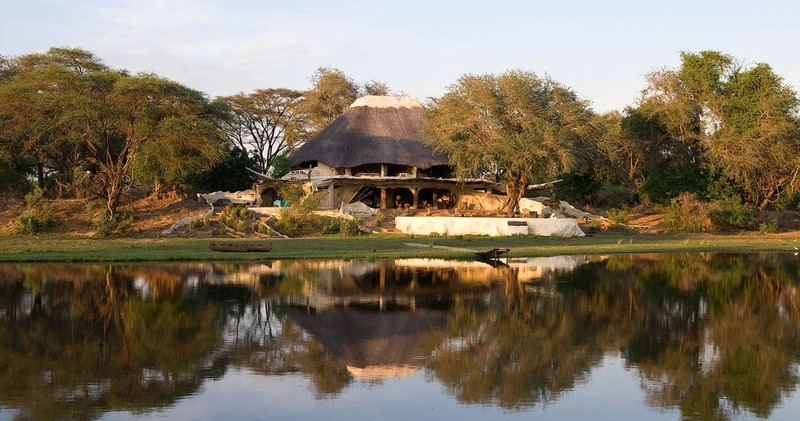 Read all about travelling to Chongwe River Camp on our getting to Lower Zambezi page. Chongwe River Camp is best accessed through Kenneth Kaunda International Airport (LUN) near Lusaka followed by a short light aircraft transfer to the Royal Airstrip. No children under 7 years. We hope you have found all information needed to decide that Chongwe River House in Lower Zambezi National Park is the perfect place for your next travel adventure. Please fill in the contact form and we will get back to you soon!